Restaurant Epice is located on the eastern side of the Kyoto Imperial Palace, a 6-minute walk west from Keihan Demachiyanagi Station. The restaurant is in a renovated Kyoto town house which was built over 100 years ago, and it specializes in authentic French cuisine with the spotlight given to local produce. They only have a course menu for both lunch and dinner. There are two courses for lunch, one for 2,200 yen and the other for 3,200 yen. Their dinner courses are 4,900 yen, 8,000 yen, and 10,000 yen, and the two more expensive dinner courses need to be reserved at least three days in advance. The main specialty of restaurant Epice has to be their locally grown vegetables. The restaurant’s signature dish is the beautiful vegetable terrine which is served at dinner. In this dish, you can taste the “living vegetables” which are pesticide-free and organic. When going to the Kyoto Imperial Palace or Shimogamo Shrine, remember to also make a reservation to Restaurant Epice. The 4,900 yen dinner course contains an amuse-bouche, two plates of hors-d'oeuvres, soup, fish and meat dish, two desserts, handmade bread, and a drink with the dessert, totaling 10 plates. In the picture, you can see the daily meat dish, which this day was a bottom flap steak from Australian cattle served with a sauce that had a little bit of wasabi in it. The meat dish can be upgraded to duck or wagyu beef for 1,000 yen extra. They have an excellent selection of alcoholic drinks, and they always stock over 100 types of wines. My recommendation is their Kiwami set, which comes with a glass of champagne, white wine, red wine, and a digestif. You can choose the wines and digestif from a good selection of wines and difestifs. Restaurant Epice offers you a great chance to enjoy dining in a 100-year-old Kyoto town house. Their seasonally chancing garden is also very beautiful. I also wish you’ll take notice of the beautiful ranma architectural details found over the kitchen counter; they were made by the owner-chef’s family, and they fit the restaurant perfectly. 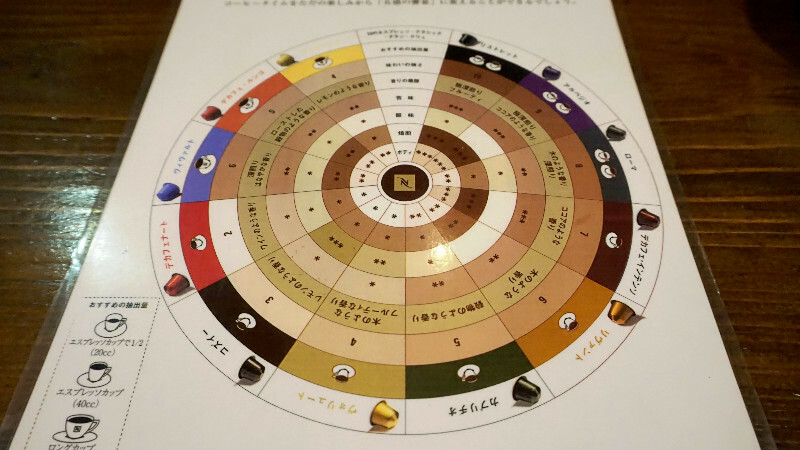 They are very dedicated to offering you the best espresso possible, so after ordering an espresso, you’re given this taste chart so you can choose the espresso that best fits your palette. 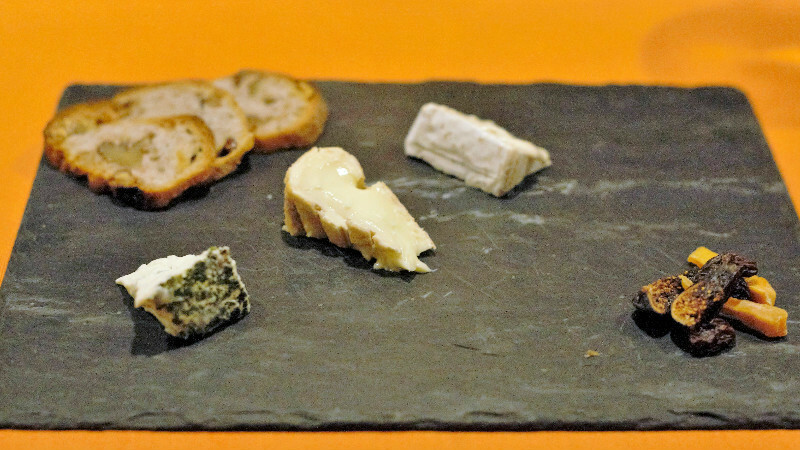 If you don’t like sweets, you can change your dessert to a cheese platter. You can feel how this restaurant wants you to enjoy their courses to the very end. Epice is a French restaurant that gets its name from the French word for spice, épice, but this doesn't mean that the restaurant's foods would be spice. On the contrary, the foods here are made in a way that you get to taste the greatness of the local ingredients Epice uses. Their wine selection is also excellent, not to mention that they have one of the best selections of difestifs in the whole of Kyoto. A 6-minute walk from Keihan Demachiyana Station, or a 10-minute walk from subway Karasuma Line Imadegawa Station. Wednesdays, and in addition to this, they are closed for one additional day every month. There is a service surcharge of 5% added to your bill. They don’t have an a la carte menu, so ordering is easy. Many foreign people also visit this restaurant, so going to Epice should be easy. 34 (8 counter seats, 10 table seats, 16 seats in a private room).